Hollywood doesn’t like to make westerns anymore, and audiences don’t much like to watch them (save those written by Quentin Tarantino). Perhaps that’s a good thing – for westerns. We’ll always have John Ford and Louis L’Amour. But both audiences and studios are a little keener on the western-in-disguise: post-apocalyptic science fiction. 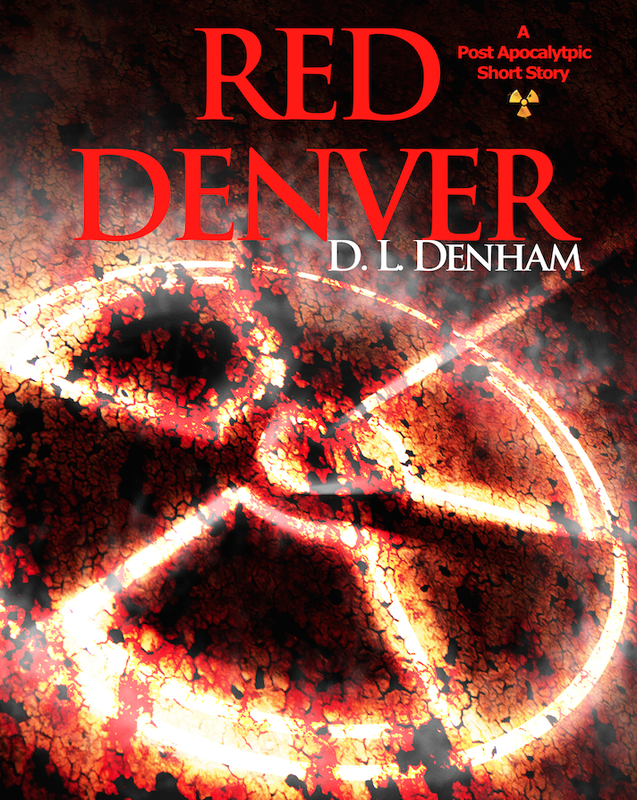 Red Denver welcomes us to the archetypal western world of outlaws, drifters, and frontier violence, transplanted to a post-nuclear United States. Throw in a thunderdome battle with a superbeast that’s been genetically engineered by alien autocrats, and I’m a happy camper. The short story is a prelude to the larger narrative found in Denham’s recently published “Reho: A Science Fiction Thriller”, and is basically a forty-page pitch to buy that novel. Despite the brevity, Denham succeeded in earning my trust, mostly through his muscled prose and macho main character. There’s nothing particularly visionary about the world here yet; so far, it’s just Mad Max on a diet. The story is set sometime after a nuclear war against alien invaders, and America is a wasteland with a handful of habitable areas. What’s left is blast-soil, roving criminal gangs (known as “knock-down drag outs”), and of course, gladiatorial arenas. Our hero is Reho (anagram alert! ), a racer of “gasolines” who has been framed for murder by a crime boss named Soapy. Not framed exactly, since he did stab the victim in the skull, but it was in self defense – the victim was an assassin. After Reho is found guilty, he requests the coolest kind of courtroom drama – a trial-by-combat (can we please bring back trial-by-combat) and vows vengeance against Soapy. The action is appropriately brutal, and Reho has the makings of an intriguing character in the Clint Eastwood lone man drifter gunslinger mold. His problems seem to stem from his hyper-competence: He’s good at everything he does, and as always that tends to piss a lot of people off. Not even a blast of radiation can affect this guy. I’m currently thumbing through “Reho”, and very much enjoying it. The western genre is alive and well. Thanks for the reference Jeffro, I’ll check it out. Hollywood doesn’t like to make westerns anymore, and audiences don’t much like to watch them (save those written by Quentin Tarantino). Don’t know what anymore means, but the 2010 “True Grit” was absolutely awesome, and one of my all-time favorite movies. If you want to talk about blue as opposed to pink fiction, you don’t get much more blue than the 2010 “True Grit”. True Grit and Django Unchained were the exceptions to the rule. Especially compared to its early history, westerns just aren’t made that frequently anymore in Hollywood. No real argument there. Out of curiosity, is “Django Unchained” any good? Like most of Tarantino’s films, it has flashes of brilliance, lots of flashes of brilliant violence and one of a kind dialogue, but has absolutely nothing to say about the human condition in any way whatsoever. I enjoyed seeing DiCaprio hamming it up, but it was his weakest effort by far. You may like it if you are a Tarantino fan. True Grit was way, way, way better. Thanks for that. Never been a huge Tarantino fan, so I probably won’t try it. But I’m trying to get into Westerns a bit, so maybe if I get bored.